1. measure actual coverage utilising sophisticated data gathering, positioning and analytical tools. 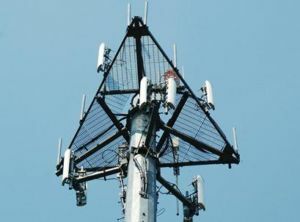 2. compare the defendant’s account of their movements against the cell usage to assess which account, if either, is more likely given the cell site usage pattern. Looking for a specific expert? Forensic Evidence is MEWA LLP’s dedicated Forensic Expert Witness Service. MEWA is a collaborative alliance of high quality experts who aim to provide exceptional quality expert witness service throughout UK & Ireland. Our panel of experts has experience of working in many different sectors ranging from Forensic, medical, Clinical, health and social care. We provide cost effective nationwide expert witness service for all forensic and medical specialities with input from established independent experts. For the legal profession, we provide high quality and cost-effective medical expert witness court reports in all fields of forensic science, forensic medicine, psychiatry, psychology and all other medical fields. Thank you. We were pleased with the speed and quality of the report and response to initial instructions. Thank so much Dr S's report in matter which is extremely helpful. Thank you for preparing the report for our client. The client was pleased with the content of the report and the preparation time. Overall, very pleased with your service and would definitely use it again as well as recommend it to other solicitors. Forensic Evidence MEWA LLP© 2018 All Rights Reserved.